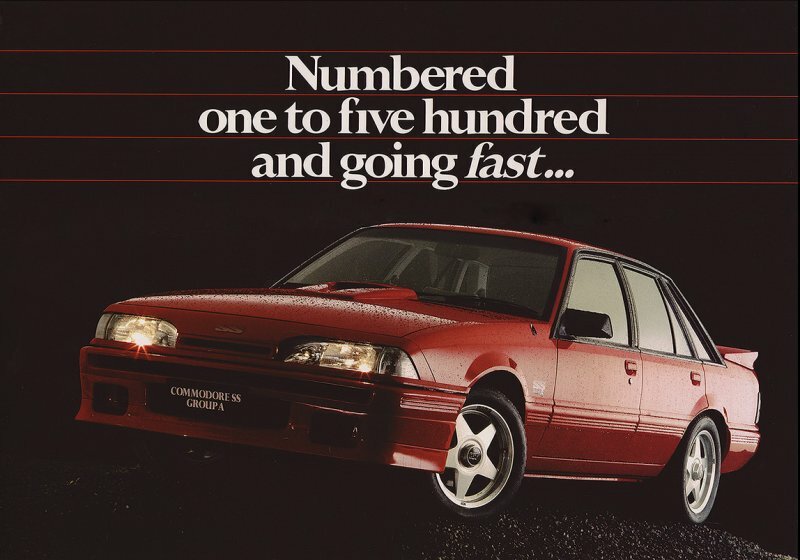 Peter Brock, a name completely synonymous with road racing in Australia, maintained a 19 year relationship with GM's Australian subsidiary, Holden, until an abrupt end in 1987. Following the release of a product developed between he and his personal doctor, Eric Dowker, Holden refused to acknowledge the claimed benefits of the product - a very expensive version of a late night infomercial magnetic miracle bracelet for cars just mounted to the firewall - and withdrew funding from Peter Brock and the Holder Dealer Team at 5:30PM on a Friday evening. More info and cheesy 80's video below. The reason for the tension was the upcoming release of a special variant of the already hot Holden VL HDT Commodore called the Group A. Both Brock and Holden's development team had developed separate versions of the same car. Holden's was called the HDT Group A while Brock's was called the HDT Group A Plus - definitely poking the bear. The Holden Group A was a hot-rodded Commodore with a worked over Holden 308, Borg-Warner T-5 transmission, and many other HDT goodies while the Group A Plus was much the same, but with an important addition - the DB Energy Polarizer. Holden refused to release the car without first validating the claims of the Polarizer and threatened termination of the Peter Brock contract. To any engineer, these claims were very hard to accept as improved ride and handling through rearrangement of the car's molecules seems impossible, especially through a small, magnetic device. Brock believed in the device and refused to sign the dash plaques of any cars released by HDT. 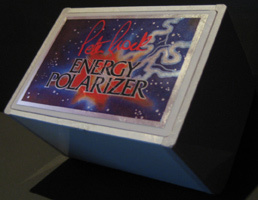 In recent years - 2005 anyways - a few Energy Polarisers had made reappearances on eBay for as much as $AU6,000. These sales and a few others over $2,500 may have prompted Peter Brock's wife, Bev, the original manufacturer of the device, to dig up the plans and start remanufacturing the devices. But even she made no claims to the invention's merits. There are many theories out there on what the device actually did but the fact is that it was a box of magnets. The more interesting theories revolve around what else was changed in the so-equipped vehicles to achieve the results credited to the Energy Polarizer; maybe uprated bushings or something as simple as tire pressure alterations could be to blame for producing such dramatic results from something so questionable. So was it a scam? Maybe, but many people believe that it wasn't, that Brock actually believed in the device, and given his very stubborn and tenacious nature, he wasn't going to back down from Holden's pressure.